We design and develop mobile applications based on multiple frameworks maintaining functionalities and look of apps across all frameworks. Nowadays, Mobility is considered as the most important and effective technology innovation for the organizations. Mobile Application Development market has grown after Apple introduced iPhone / iPad and Google introduced Android. The evolution of mobility is increasingly forcing companies to revamp their business processes that involve latest and innovative mobile technologies. In mobile industry, there are various mobile frameworks which all aim to create rapid mobile web applications. Our team of experts designs and develops mobile applications based on multiple frameworks maintaining functionalities and look of apps across all frameworks. Our mobile solutions offer flexibility, security, reliability and accuracy to the clients satisfying all their requirements. 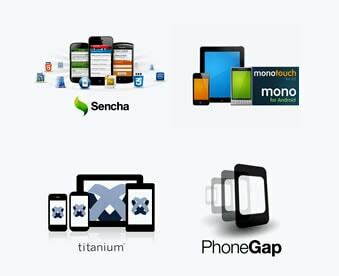 ANGLER offers a wide spectrum of mobile technology solutions that help organizations of any industry grow and improve. Harnessing the power of mobile technology with latest IT trends, we deliver the best-in-class mobile framework solutions which helps you to stay one step ahead of your competition. If you would like to know more information on ANGLER’s capabilities on mobile technology skill sets, please contact us today.